Not that we’ve ever dunked our noses into a glass of Pepsi, because we’re not total weirdos, but according to a new patent filed by the soft drink manufacturer, PepsiCo Inc. is looking to develop a “scent capsule” under the cap of its plastic bottles so that each time the bottle is unsealed, a refreshing smell wafts over as you consume the sugary goodness. Sounds like an odd idea, but smell is one of our most primal senses, so we’ll play along here. 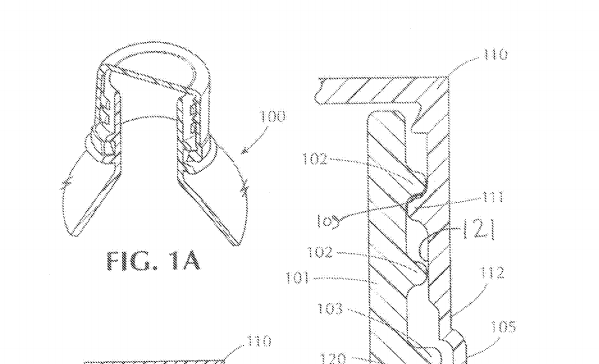 Received earlier this year, the PepsiCo patent accounts for a system where a gelatin capsule would be embedded into the cap. Upon the opening of the cap, breaking the seal, this capsule will rupture, releasing comforting scents to help consumers enjoy their drink a little more. This system would extend to more than just Pepsi sodas. PepsiCo accounts for a variety of soft drinks, such as Tropicana, Gatorade, and Naked – and with juice naturally known for their acidic fragrance, this patent might be more useful for Naked shakes than making cola smell more … caramel-like? It’s going to be a while until PepsiCo implements the scent capsules in its screw-top plastic bottles so you won’t have to worry about preparing your nose any time soon. But if our sense of smell is as strong as the urge to get coffee every time you smell a freshly brewed cup from that cafe down the street, perhaps Pepsi is truly onto something here.